Gas: Check. Oil: Check. Drivers license: Check. There is a list of items that we all keep stored somewhere hidden in the id of our subconscious that our brain automatically runs-through before we get into our cars. This is helpful in many situations, like when frantic mothers need to have their children in different places at the same time; or, in the event of an emergency when there simply isnt time to stop for a moment to double-check. The problem is, however, that list runs a little short. While some of those items are obvious and already implanted into our brains; the others, are not quite as obvious. Quirk Pre-Owned, a used car dealer in Massachusetts, wants our drivers to be prepared with those less-obvious items each time you hit the road. Give your id a rest; make sure you are always prepared. Know your roads. The first step to driving preparation is understanding where you drive; what are the road conditions, the weather and climate variations, etc. A snow shovel or window defroster isnt going to be useful if you live in South Florida. 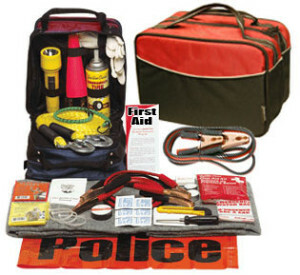 Get to know your driving environment and build your emergency kit accordingly. Visit our used car dealership in Massachusetts to learn more about staying safe on the road. Sure, we all were taught to keep a flashlight, some jumper cables and a first-aid kit in our cars, but rarely do we think about the possibility of being stranded overnight, or longer. Before you set-out on the road, check to make sure you have food stored in your vehicle. Nonperishable packaged items will stay fresh for a longer time period. High-calorie sports bars are an excellent source of nutrition and are easy to store. In the event that you become stranded for a few days, these bars will keep you nourished and energized, which will keep you thinking clearly. Staying aware and alert when you are marooned is a vital part of survival. Also, fresh water should be kept in your vehicle at all times. Be sure to keep track of how long you keep water stored in your vehicle, as well as the time of year. Bottled water loses its drinkability quickly during the heat of summer, and maintains its freshness longer during cold winter months. These easy steps will protect you during your travels and help you to avoid roadside nightmares. Check out Quirk Pre-Owned for more simple safety tips. For more information about our Massachusetts used car dealer or call us at (887) 466-1512 today!